Founder and Chair of the Bianca Jagger Human Rights Foundation, Council of Europe Goodwill Ambassador and Member of the Executive Director’s Leadership Council of Amnesty International, USA. Bianca Jagger is the Founder and Chair of the Bianca Jagger Human Rights Foundation (BJHRF), Council of Europe Goodwill Ambassador and member of the Executive Director’s Leadership Council of Amnesty International USA. She is a prominent international human rights, social justice and climate change advocate. For over three decades she has been a voice for the most vulnerable members of society, campaigning for human rights, civil liberties, peace, social justice and environmental protection throughout the world. Bianca is the recipient of numerous prestigious international awards for her human rights and humanitarian work, including: in 2004, The Right Livelihood Award, also known as the ‘alternative Nobel prize’; in 1997, The Amnesty International USA Media Spotlight Award for Leadership; in 1994, The United Nations Earth Day International Award; in 2006, The World Citizenship Award from The Nuclear Age Peace Foundation; in 2004, Bianca was presented with The World Achievement Award by Mikhail Gorbachev; in 1997, The Green Globe Award from the Rainbow Alliance; in 1998, the American Civil Liberties Union Award. Bianca has been awarded three doctorates honoris causa: a Doctorate in Law from the University of East London in 2010; a Doctorate of Human Rights from Simmons College, Boston in 2008; and a Doctorate of Humanities from Stonehill College, Massachusetts in 1983. Bianca lectures about human rights and civil liberties issues, Latin America, the Middle East, the war on terror and the erosion of civil liberties that ensued, children and women’s rights, the death penalty, social and corporate responsibility, climate change, indigenous peoples and rainforest preservation, to name but a few. She has participated in numerous television and radio programmes and debates. She was born Bianca Pérez-Mora Macías in Managua, Nicaragua in 1950. Website: biancajagger.com is coming soon. You can also FaceBook ‘Like’ The Bianca Jagger Human Rights Foundation and/or FaceBook ‘Friend’ The Bianca Jagger Human Rights Foundation. 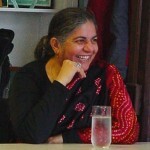 World-leading scholar whose paradigm-shifting work has been foundational for activists and scholars alike in a wide range of fields; awarded the ‘Right Livelihood Award’ for ‘placing women and ecology at the heart of modern development discourse’ (1993); identified byTime Magazine as an ‘environmental hero’ (2003) and praised by Asia Week as one of the five most powerful communicators of Asia; honoured by multiple awards, including the Global 500 Award of the UN, Earth Day International Award, the Lennon Ono Grant for Peace and the Sydney Peace Prize 2010. Renowned Co-Founder of Forum for the Future; an eminent writer, broadcaster and commentator on sustainable development; Co-Director of The Prince of Wales’s Business and Sustainability Programme; Non-Executive Director of Wessex Water (UK) and Willmott Dixon Holdings; a Trustee of the Ashden Awards for Sustainable Energy; formerly Director of Friends of the Earth (1984-90); co-chair of the Green Party (1980-83); chairman of UNED-UK (1993-96); chairman of Sustainability South West, the South West Round Table for Sustainable Development (1999-2001); a Trustee of WWF UK (1991-2005), a member of the Board of the South West Regional Development Agency (1999-2008). Jonathon stood down as Chairman of the UK Sustainable Development Commission in July 2009 after nine years providing high-level advice to Government Ministers. He received a CBE in January 2000 for services to environmental protection. (Photo: David Burges). Geoffrey was responsible for wide ranging reform of the legal and constitutional framework of New Zealand; Senior Counsel at Harbour Chambers, Wellington, New Zealand; Distinguished Fellow of the Centre for Public Law and Policy and Faculty of Law, Victoria University of Wellington; member of the Legislation and Advisory Committee of the New Zealand Government from 2005 until the present day; Distinguished Visiting Lecturer at the University of Iowa College of Law and an Independent Trustee of the Antarctic Heritage Trust; Member of Her Majesty’s Privy Council (PC) (1986); Knight Commander of the Most Distinguished Order of Saint Michael and Saint George (KCMG) (1991); Honorary Companion of the Order of Australia (AC) (1991); Laureate United Nations Environment Programme ‘Global 500 Roll of Honour’ 5 June 1991; Patron, New Zealand Whale and Dolphin Trust; Member, American Society of International Law; International Advisory Council Member,World Wide Fund for Nature. 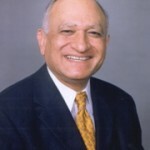 UNEP Global 500 Roll of Honour member and Honorary Member of IUCN for ‘outstanding services to conservation of nature and natural resources’; Senior Partner at Hassan and Hassan (Advocates), Pakistan; Senior Advocate in the Supreme Court of Pakistan. Parvez has been honoured by a wide range of international awards and honours: inclusion on the Global 500 Roll of Honour of the United Nations Environment Program (UNEP) ‘in recognition of outstanding practical achievements in the protection and improvement of the environment’ (1991); Honorary Membership of IUCN – The World Conservation Union for ‘outstanding services to conservation of nature and natural resources (2000); the Elizabeth Haub Prize (1998) in recognition of his status as ‘one of the world leaders in Environmental Law’ (2000); the 7th International Conference on Environmental Law in Sao Paulo, Brazil, 2003, was held against the backdrop of ‘A Tribute to Parvez Hassan’; drafter of the Pakistan Environmental Protection Ordinance, 1983; member of the Pakistan Environmental Protection Council; member of the Pakistan Marine Pollution Control Board, 1994; Chair of the Commission on Environmental Law, 1990 – 1996, where, under his leadership the IUCN Draft International Covenant on Environment and Development was finalised and launched at the UN General Assembly in 1995.